My books on coaching baseball now in HARD COPY format. 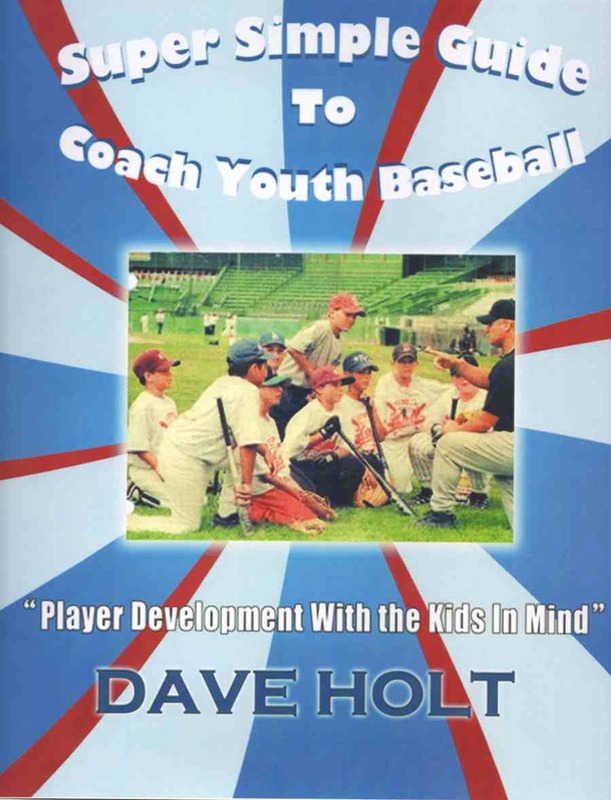 Super Simple Guide to Coach Youth Baseball is your guidebook to working your way through a successful youth baseball season. My approach is to develop baseball players with the kids in mind--not the adults. My approach is far different than you see in most coaching clinics, youth leagues and travel baseball teams. See, I want to help coaches and parents develop baseball players--not using the short sighted, win-at-all-costs approach that is witnessed throughout youth baseball today. Simply one the best books on coaching baseball. Not only do you get an entire 101 page workbook in a 3-Ring Binder with charts and diagrams--you get 3 audio CDs to listen to in your audio CD players. Yes, the baseball coaching book comes with 3 CD's so you can read it, see it, and hear it. Share it with your assistant coaches. One is reading and another coach is listening in their spare time. Everyone can be informed of your baseball coaching philosophy. Everyone can be on the same page. What in the World Did I Get Myself Into? Exit Stage Left: Why Do Kids Leave Sports? Win or Develop? Which Comes First? PLUS: Audio CD of the entire Section 1! 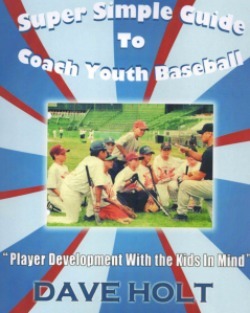 Normally the Super Simple Guide to Coach Youth Baseball workbook and the 3 Audio CDs would be a $57 Value. Coaching Youth Baseball is not the easiest thing in the world. i am here to help you survive the craziness and thrive in a world that should be FUN! You need some organizational skills. You need a player development mindset. You need drills, teach skills and practice templates. Great Opportunity to Read About it and Listen to the Audio CDs While you drive to and from work. Who is Dave Holt the author? Shipped within 24 hours of ordering.